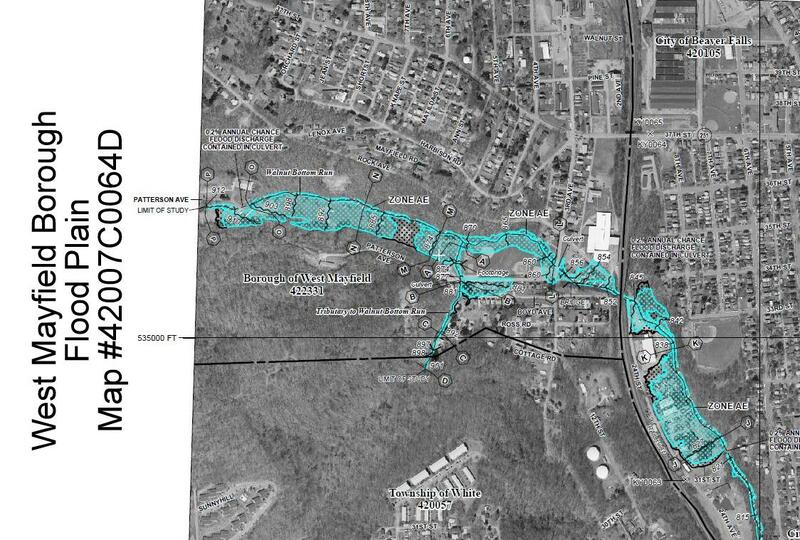 FEMA has released preliminary data so that Beaver County and West Mayfield Borough residents can look at their home or community’s projected risk to flood hazards. Preliminary data include: new or revised Flood Insurance Rate Maps (FIRMs), Flood Insurance Study (FIS) reports, and FIRM Databases. View FEMA map 42007C0064D in detail. FEMA Disclaimer: Preliminary data are for review and guidance purposes only. By viewing preliminary data and maps, the user acknowledges that the information provided is preliminary and subject to change. Preliminary data, including new or revised FIRMs, FIS reports, and FIRM Databases, are not final and are presented on the MSC as the best information available at this time. Additionally, preliminary data cannot be used to rate flood insurance policies or enforce the Federal mandatory purchase requirement. FEMA will remove preliminary data once effective data are available. This entry was posted in Borough News, Public Safety. Bookmark the permalink.